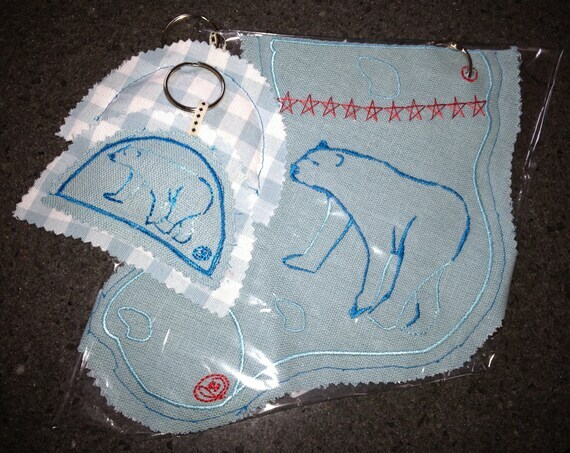 Gift - Homemade embroidery Polar Bear Gift, signed LMD in the design. Ribbon Hoop - Hanging uses. Ring included. Travel fragrance, keep sake. Can be used as a key ring or attached it to a bag or for the bedroom. Organic Lentil & Whole Cloves filling. Great for Autumn to Winter fragrance. Christmas decoration/stocking filler.Great for Gifts! Approximately 4.5" height x 3" width in size. 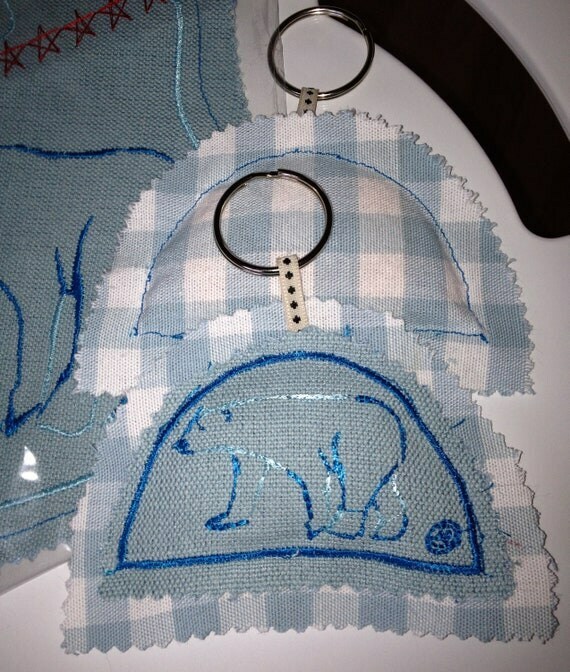 Quantity one Polar Bear key ring. Also available from the shop is the Stocking sock & other stocking fillings.